Dorsal side of humpback whale fluke which is quite similar in many whales and hence not used for identification. Barnacles on a humpback whale’s tail fluke A common “acorn” barnacle Coronula diadema found on nearly all humpback whales. Wordwide distrubtion. Attached to these acorn barnacles are the stalked barnacles Cochoderma auritium, also commonly found on humpbacks, and always attached to the hard surface of Coronula barnacles. Monterey Bay, CA/ Photo credit: Jim Scarff, 2011. ‘Yahtzee’ splashing its fluke repeatedly for over 10 minutes. No sign of orcas in the area, so unsure as to why the whale was making such a commotion! If a humpback whale was to go through the rigmarole of American airport security, he would be presenting his tail to them for scanning. We as humans, usually have our retinas and fingerprints scanned to make darn sure that we are who we say we are. In other words, a whale’s tail is as good as his fingerprint for all the intents and purposes of identification. 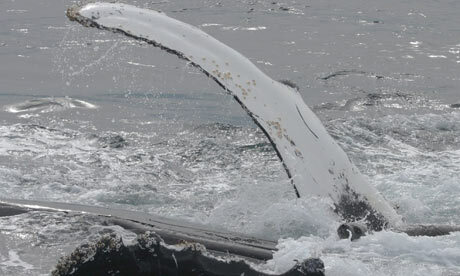 A whale’s tail is also referred to as a fluke and it is a unique and very powerful piece of equipment. The fluke is the rudder, brake and propeller for the whale. It moves in a vertical plane, pushing the enormous whale through the water with powerful thrusts. As well as locomotion the tail is used for communication and protection. Whales sometimes slap the water in what appears to be jovial exuberance. At other times this repeated slapping is used as a warning to predators to keep their distance or incur a heavy penalty if you venture too close. A 40 ton whale with a fluke of 4m wide is quite literally a lethal weapon. You do not want to be on the tail end of an agitated whale. To do so is suicide or at the very least, partial maiming. The whale fluke has become somewhat of an iconic image, being used in so many instances from jewellery to branding of myriad of products and services. On close examination of this impressive appendage, many interesting shapes and creatures are actually to be found living on this fantastic fluke. Barnacles are commensal creatures that live their lives on their whale host. The barnacles can be helpful in identification as sometimes large aggregations are found on particular areas of the whale’s tail. The barnacles are an additional ally in a whale’s armoury. If a whale faces attack from a predator not only is the fluke an enormous aid, but the razor sharp coating of the barnacles will tear the skin of the whale’s foe. At times the barnacles will come off the whale’s fluke and the discolouration will also be useful in identifying the whale. 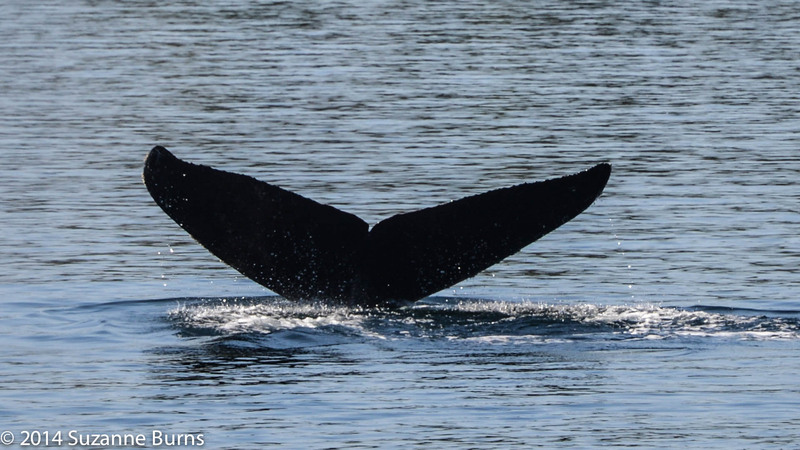 In Northern Vancouver Island, BC, a group of scientists, naturalists and whale enthusiasts have banded together to identify the humpback whales that spend their summers in the area. 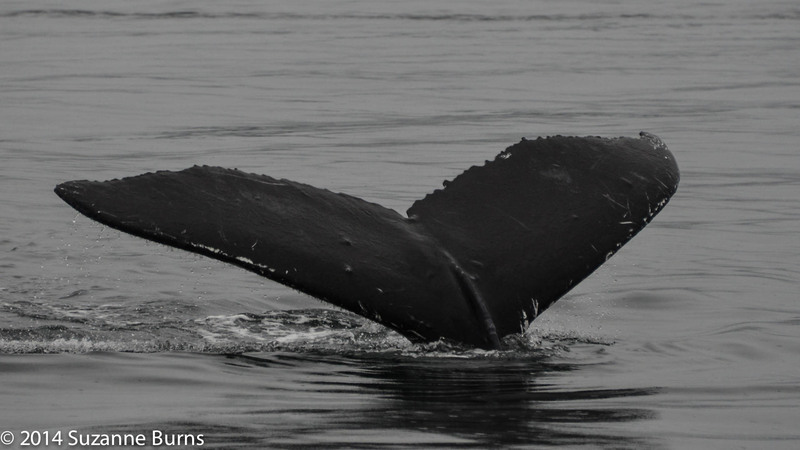 Each whale has had its fluke and also its dorsal fin photographed countless times. 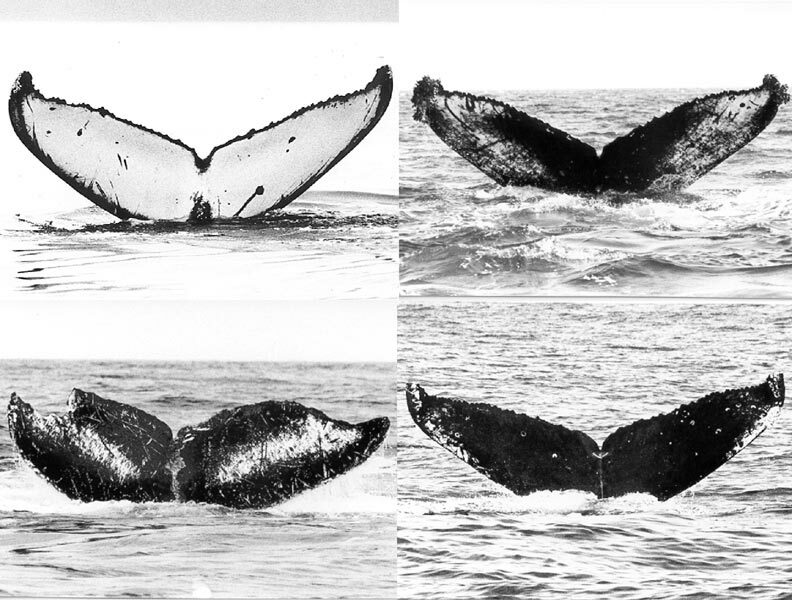 The best photos are used in cataloguing and identification of each humpback individual. Some whales have been named based in the fluke appearance. ‘Argonaut’ is so called because it has what looks like an ‘A’ notched into its fluke. Another whale called ‘Yahtzee’ looks like it has a dice sitting on its fluke ready to roll. Lesions, scarring due to entanglements with fishing equipment, close encounters with propellers and predators all take their toll on the integrity of the whale’s fluke. 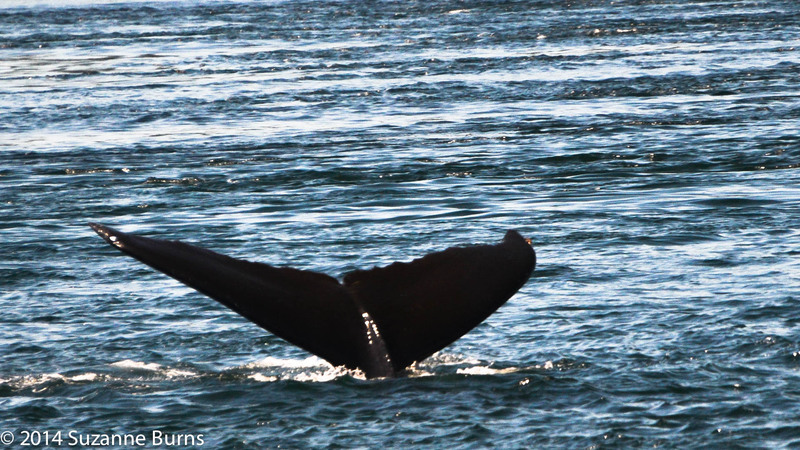 The underside of the fluke is used to identify the whale as the colours and patterns tend to be more highly variable on this side than on the dorsal surface. Colouration on the ventral side of the fluke can range from an almost exclusively white side, through to a mix of white and grey, while others are more uniformly dark grey. Some flukes have an almost frilled edge which looks like some very feminine patterning while others have an almost straight edge to their tail. Combining these various attributes gives the keen eyed whale identifier plenty of information to figure out who is who. This non invasive method of identification has done wonders for getting real data on whale populations and social dynamics. Incredibly with the humpback whale alone over the past decade, the numbers of whales in Northern Vancouver Island are increasing. The humpbacks seen and identified has risen from approx two animals in 2002 to over 50 catalogued in the past couple of years. 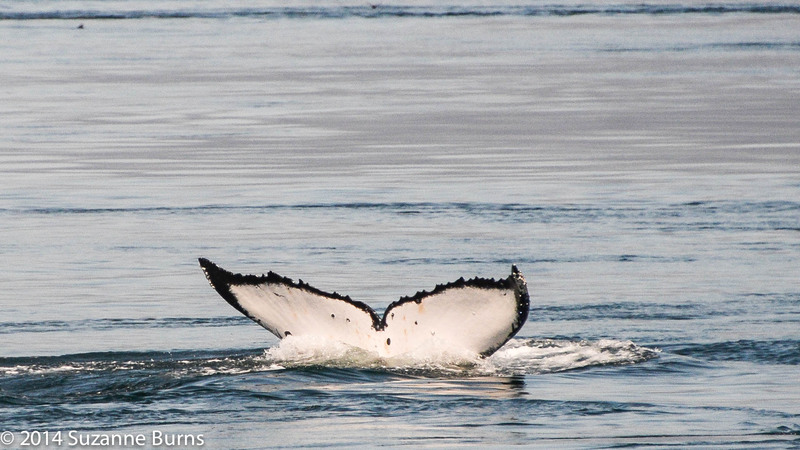 Every whale tail we see is a beacon of hope for this beleaguered species and for its entire kin. Humans used to think the world was flat and also that the earth was at the centre of the Universe. Until recent times it was also widely believed that whales lived a similar lifespan to humans. However, not only has it been discovered that whales can live longer than us, they can live potentially up to 200 years of age! 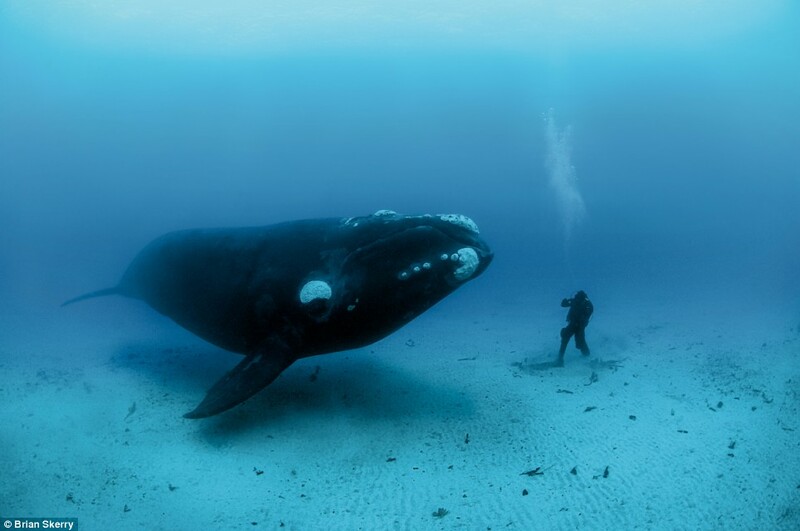 The Bowhead whale has been instrumental in this theory being revised and staggering our perception of cetacean longevity. 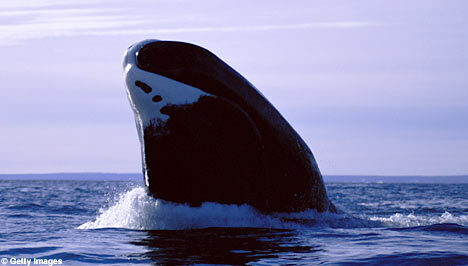 This whale is a right whale and has the largest mouth of any creature in existence. It is stocky and weighs in at a hefty 75 to 100 tonnes and can reach up to 20m in length. This whale has been hunted traditionally by Inuits for food as well as been taken in serious numbers due to commercial whaling. It was initially thought that these whales lived to 60 to 70 years of age but two factors have radically changed this belief. 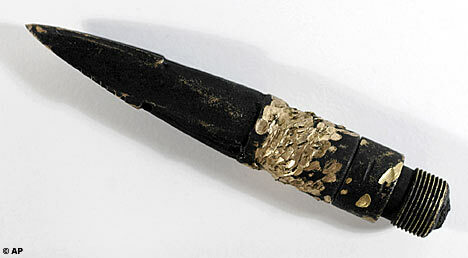 A whale that was caught in Alaska in 2007 was found to have a very old harpoon point embedded between its neck and shoulder blade. On analysis it was discovered that the harpoon point was used in the 1880’s and fired from a bulky shoulder gun. This method was phased out shortly after by a more user friendly darting gun. The whale’s blubber protected it from the lethal effect of the harpoon point and went on to live a very long life. The second successful hunt of this whale and the involvement of scientists uncovered this spectacular secret. The study also of the amino acids in the eyeballs of the whales over the past 10 years or so have also backed up this discovery. Various bowheads that have been hunted by Inuits in recent years have had their eyes studied and the whales have been successfully aged. 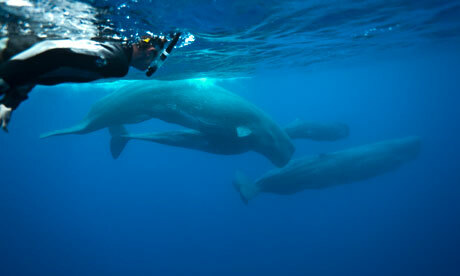 Also six other whales have been found with similar harpoon points in their bodies since 2001. The reason behind the whales longevity is purported to be due to their slow metabolic rate. 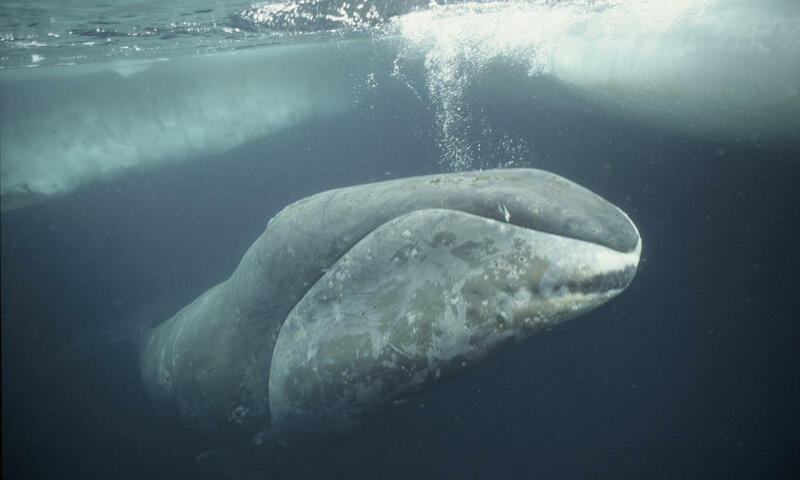 They are large, slow moving creatures that live in very cold Arctic waters. Food can be scarce and their prey which comprises of plankton and krill can be hard to come by. This combination of extreme conditions and a challenging lifestyle has created a creature of exceptional merit and wonder. Call them what you may, Old Man of the Sea, or maybe the Nanas of the Ocean, but these are some seriously long lived whales. Long may they live! 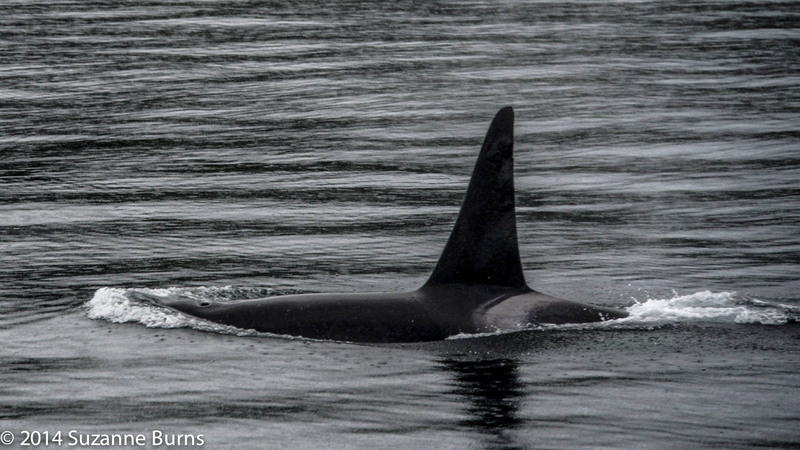 An adult male orca is an impressive beast and one not to be trifled with. Six tons of flesh, bone and blubber constitute this imposing dolphin. For all of his potential brute force and physical abilities, this male has a surprising secret, he is the ultimate Mummy’s boy. He will live out his whole life in the family fold with his mother charting his course. Daddy is nowhere to be found. He was a romantic interlude many moons ago that lasted no more than an aquatic tryst. The young male progeny will go from a playful young buck to an impressive bull that will dwarf his mother. 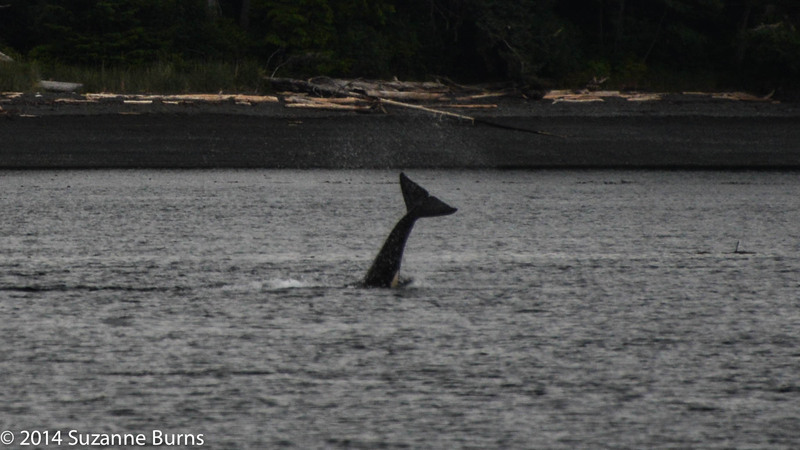 Adult females usually weigh between 3-4 tons, Their dorsal fins are less than half the size of the males prodigious 1.8 m (6 foot) fin which is so large that it provides a daunting spectacle on rapid approach. 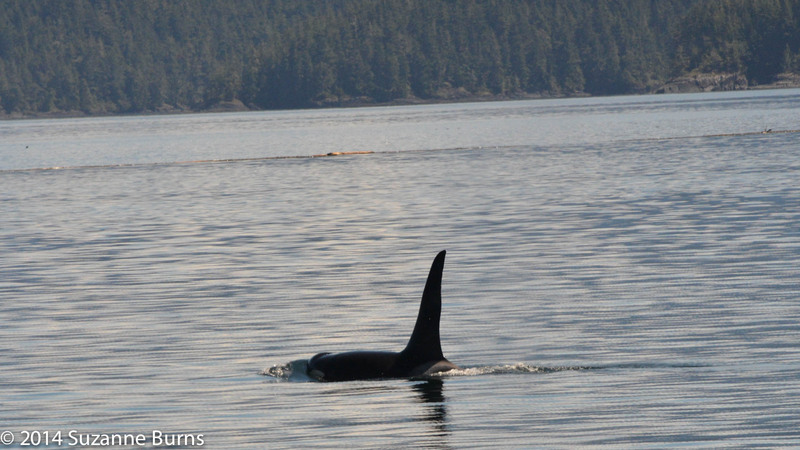 Orca society is matriarchical and functions in a somewhat similar way to elephant society. The mother is the figurehead or matriarch of the family. She is responsible for keeping the family unit cohesive and for establishing feeding and migratory patterns. Her longevity and knowledge is pivotal in keeping the family together and for finding resources. Surprisingly, mothers tend to long outlive their sons and there is an interesting, albeit unfortunate reason for this. 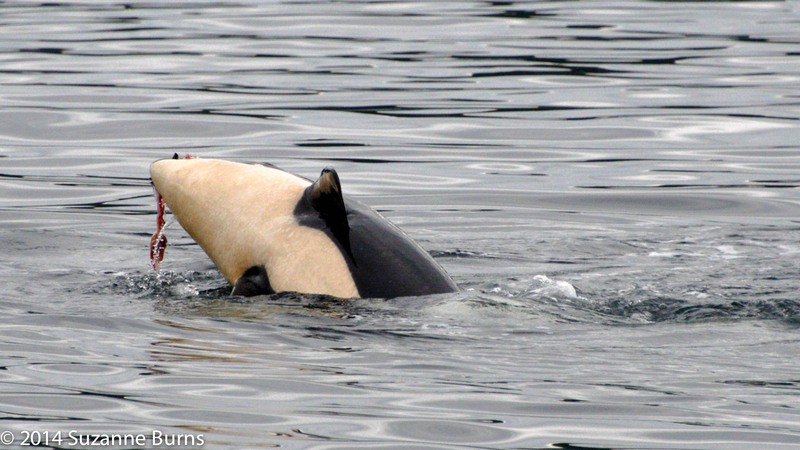 In British Columbia, Canada there are 4 distinctive orca ecotypes, transient orcas that only eat mammals, resident orcas that only eat fish (one Northern and one Southern population) and offshore orcas that eat mainly sleeper sharks. 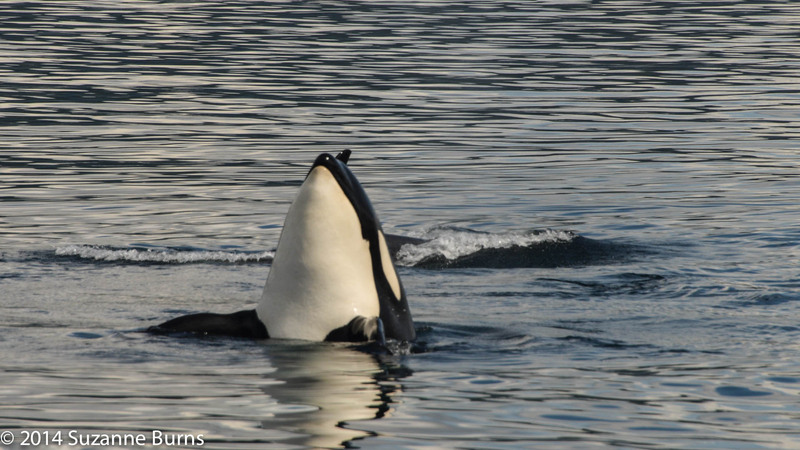 For transient orcas in particular, there is a tendency to bioaccumulate large quantities of toxins in their body tissues. Being a top predator results in a toxic load accumulating in their bodies from the prey they are consuming over the course of their lives. When a female gets pregnant and gives birth, her first baby gets a particularly heavy hit from the toxins in its mother’s body. This is exacerbated by her milk, more toxins get passed unwittingly to the oblivious baby. This consequently diminishes a female’s toxic load over the course of her life each time she has a baby. Males are unable to offload this toxic burden so become more heavily loaded over time. Males tend to die younger as a result, with an average lifespan of 30 years, whereas wild females average 50 years, with some living into their 80’s and 90’s. The male orca that has lived alongside his mother and siblings obviously has needs of his own but how are these satisfied when he is kept busy fishing for the family as well as babysitting? 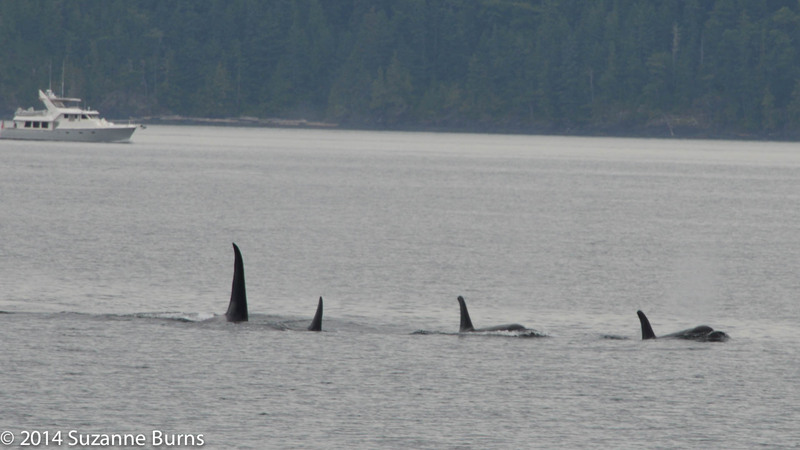 Luckily Mum has some other orcas that she knows who have some eligible lasses for her son to go and have some fun with. When the opportunity arises and one family happens to come across another then it is game on! When the male is sexually mature (usually from the age of 15) he will be free and ready to court a lucky lass from an unrelated family. Their encounter will be brief, he will go back to Mum and the rest of his family, as will she. If his conquest becomes pregnant, her family will help her raise her baby. The male that she tangled with will go back to his family and help raise any new babies his mum or sisters will give birth to. The matriarch will go through menopause in her forties just like we do but will continue to live on and dote on her family and grandchildren. It has been found that even grown males who lose their mothers tend not to fare so well, and many even die after losing her. 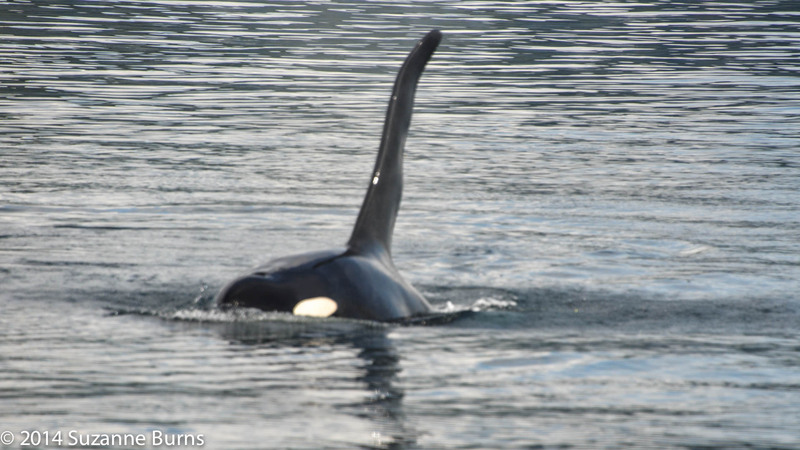 It is believed a combination of protection, companionship and assistance are important factors in maintaining the well being of the orca unit. And we thought our family bonds were strong? There are plenty of stories of cetaceans saving humans. Indeed, Jonah was rescued by a whale when he was thrown overboard, and there have been tales of dolphins assisting swimmers in distress or shielding them from circling sharks. 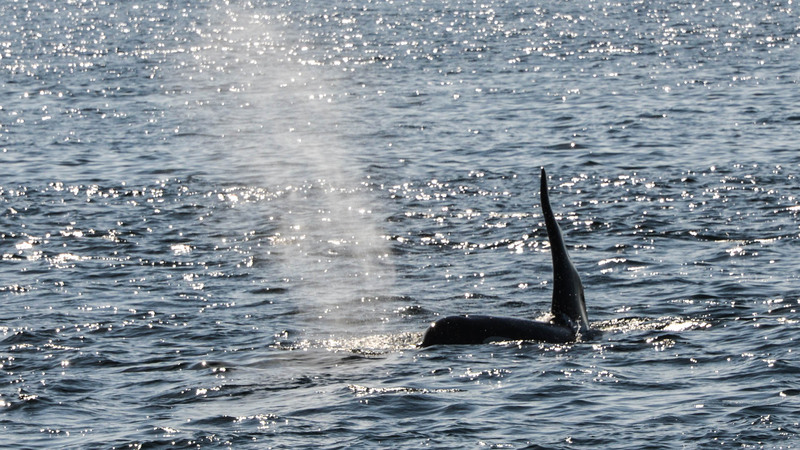 Killer whales, however — themselves a species of dolphin — didn’t get their name for nothing. Early Basque whalers called them whale killers when they saw them attacking other whales. 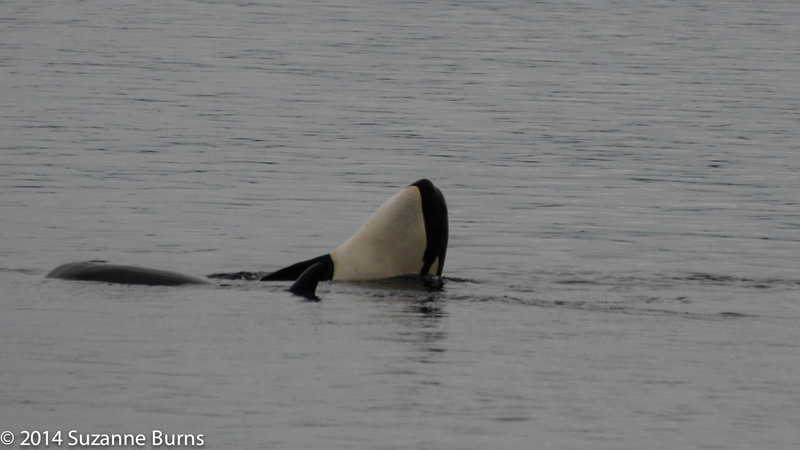 Hunting like a pack of wolves, orca know no fear. They’ll tear the throats from grey whale calves, and have even been known to take chunks out of sperm whales — the largest predators that ever lived. But here’s a sight to gladden the eye. Earlier this year, Californian scientists Robert L Pitman and John W Durban sailed to the Antarctic in search of killer whales. They were looking for a possible new species, known to hunt Weddell seals — one of the plumpest of the pinnipeds (the suborder that includes seals and sea lions) — by washing them off ice floes with their wake. 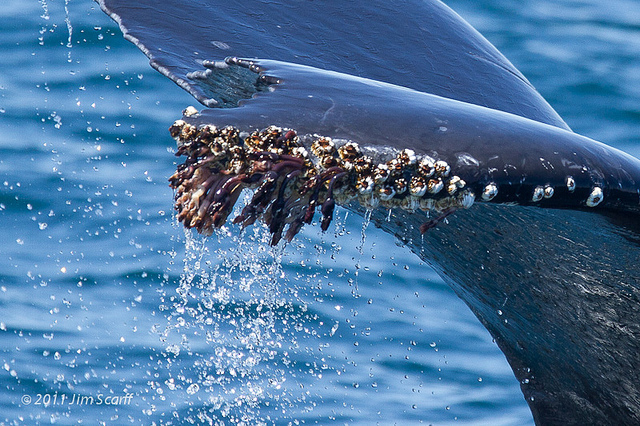 That’s what was happening here — until a group of humpback whales arrived on the scene. Unlike orca, which are odontocetes or toothed whales, humpbacks are mysticetes, harmless leviathans with only baleen plates in their mouths. Doubtless open-mouthed themselves, Pitman and Durban — along with a film crew from the BBC Natural History unit — watched as one seal, swept into the water by the orca, swam towards the humpbacks. As the killer whales moved in, the plucky pinniped leapt on to the vast ribbed belly of a humpback, and nestled in the animal’s armpit. Not only that, but when a wave threatened to return the seal to danger, the humpback used its massive flipper (at five metres, the longest in the animal kingdom) to nudge it back on. “Moments later the seal scrambled off and swam to the safety of a nearby ice floe,” wrote the scientists. 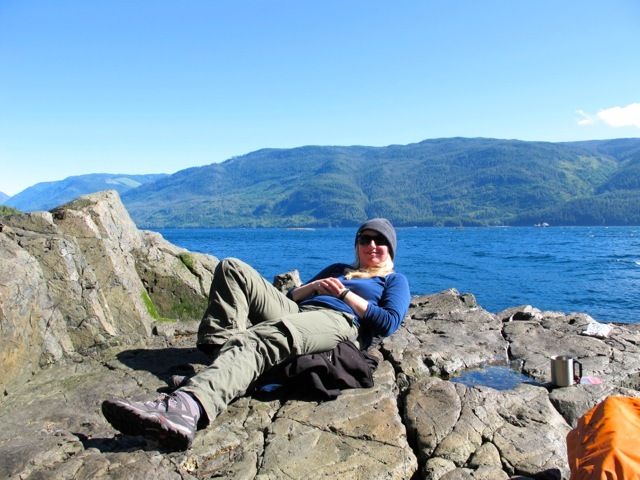 They believe the seal triggered a maternal defence mechanism in the humpbacks. Whatever the truth, it’s a heartening tale. But spare a thought for the orca. They’ve got kids to feed, too.